Valencians sure love their festivals. This might be a generally Spanish trait rather than one which is strictly Valencian, but once March rolls around, there’s another festival of some sort every weekend in this city. 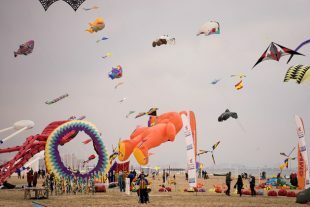 We have Fallas, wine and tapas festivals, Semana Santa, and various other religious festivals honoring a never-ending string of saints… and also, there’s a kite festival down at the beach.